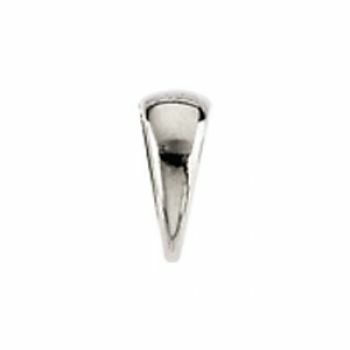 Description: A contemporary designed replacement bail for pendants and lockets that is heavy and solid in construction. 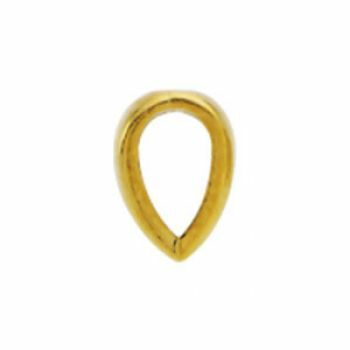 Available in 18k yellow or 18k white gold with�an inside diameter of 3mm. There is no opening on this bail, you either need to have an opening on the ring this will be attached to or cut the bottom open and have it soldered closed. Measurements: Measures�7.5 mm in length by 3.0mm wide with an inside diameter of�3.0mm. Fits a 3.0mm or thinner chain.